Colors: Navy and Black. Choose between the Traditional Woodland Academy logo or the Woodland Academy Pawprint logo. Add you name for only $5.00. Just tell us in the "checkout comments field" how you would like your to appear. Landway Mid Weight Micro Vest with Woodland Academy logo on Left chest. 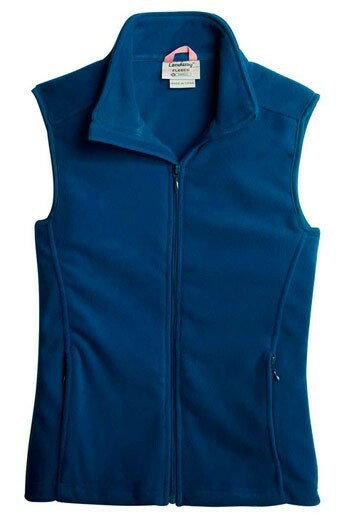 12.8 oz anti-pilling brushed microfleece Two center seam pockets Open hem and cuffs Ladies: XS, S, M, L, XL, XXL, 3XL Colors: Navy and Black. Choose between the Traditional Woodland Academy logo or the Woodland Academy Pawprint logo. Length 22" 23" 24" 25" 26" 27" 28"